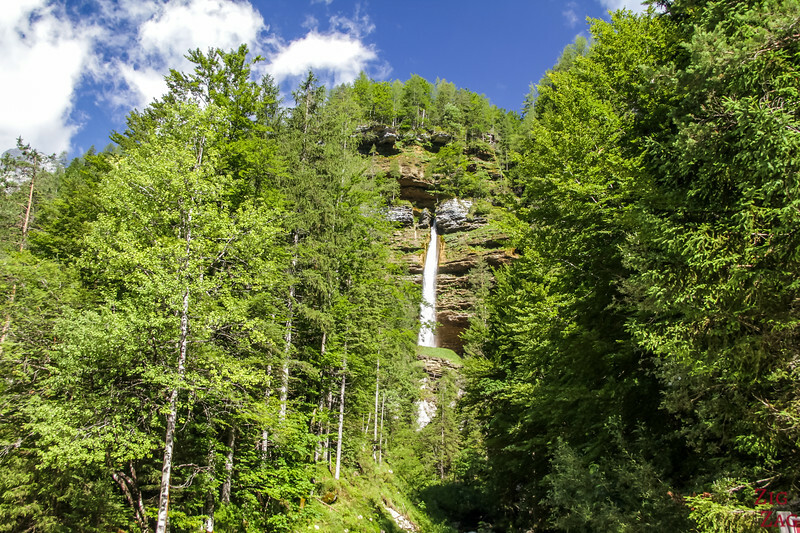 The Pericnik Waterfall Slovenia is one of the most beautiful in the country with the possibility to walk behind it! 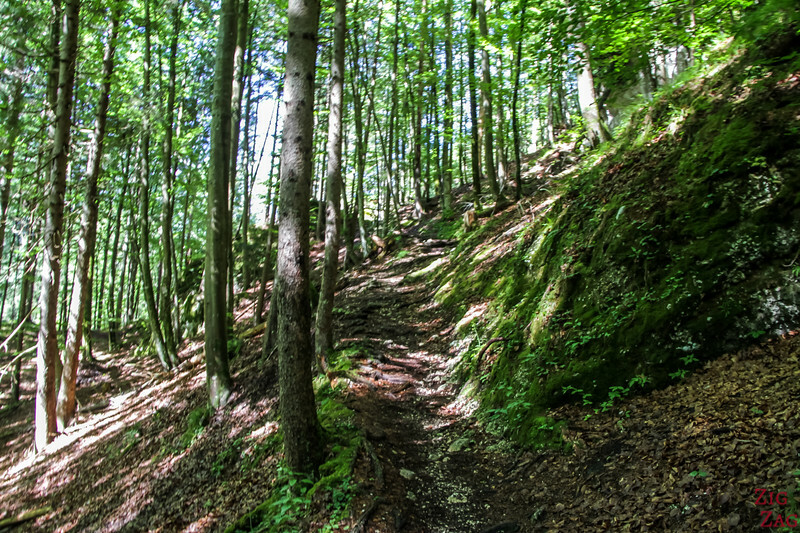 Off the beaten track, Slap Pericnik is set in the Vrata Valley and offers magnificent views. Discover it in Photos and Video + Plan your visit and walk. 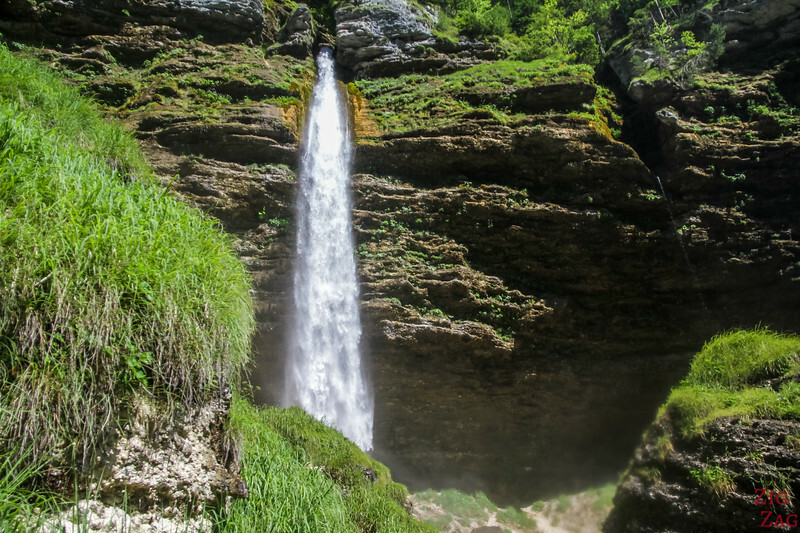 Let's start with a short video that will show you why you should not miss the beautiful waterfall of Pericnik - definitively a must see in Slovenia and one of the best falls in Slovenia. Such an amazing drop! But don't forget to protect your camera, it is like taking a mist shower! 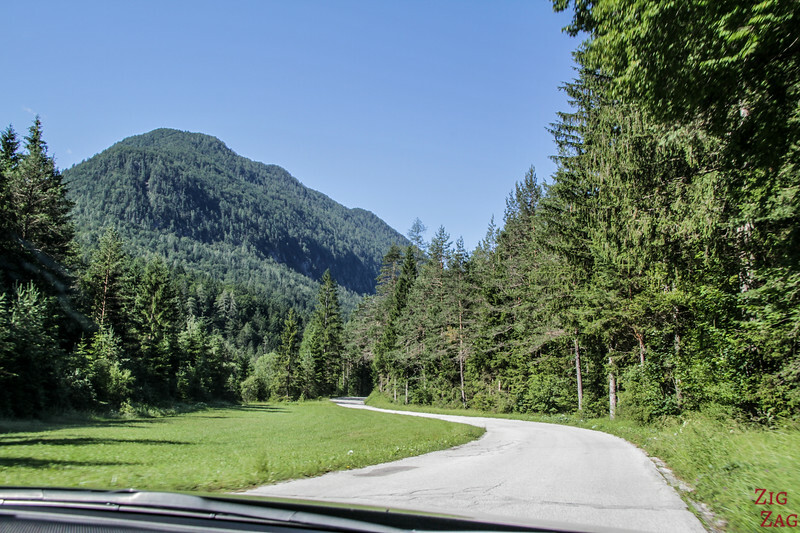 A great excursion not far from lake Bled, don't you think? 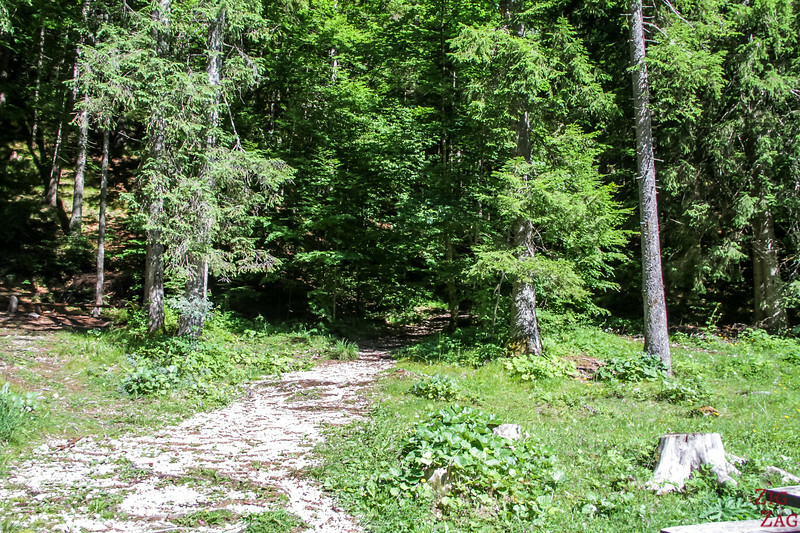 Slap Peričnik is a little off the beaten track in the Triglav National Park but not that difficult to reach. 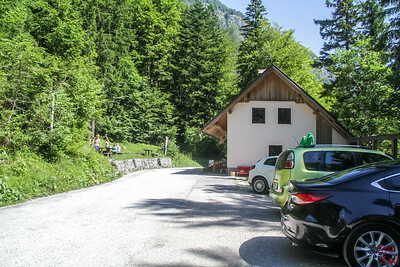 It is located South of the Mojstrana village in the Vrata Valley. 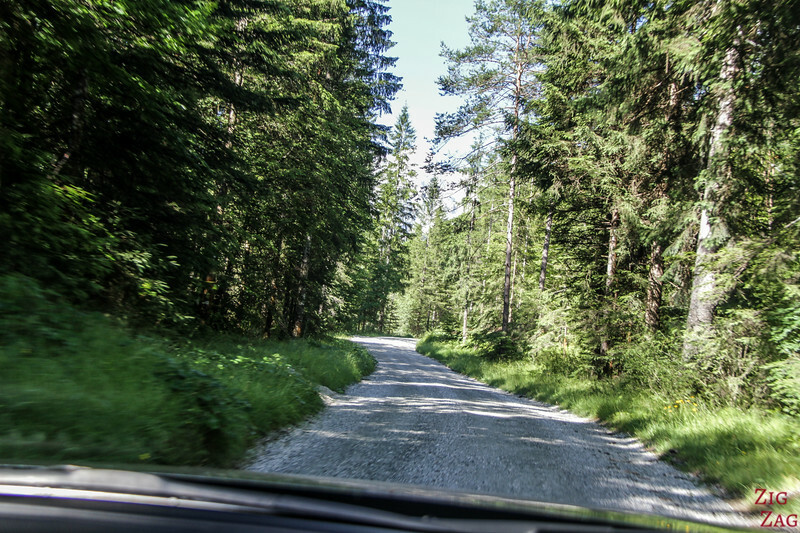 The road is small but not difficult. 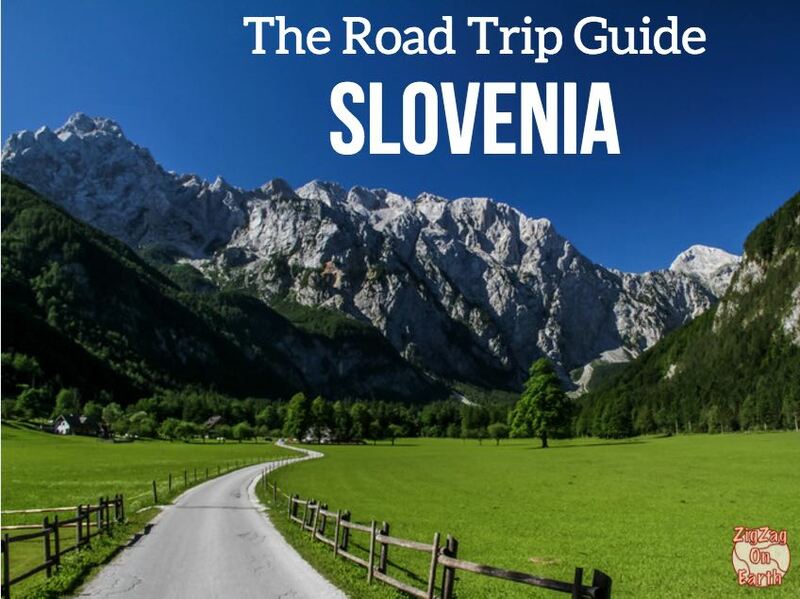 Slap Pericnik, along with many other beautiful places, is included in my eBook: The Road Trip Guide-Slovenia. 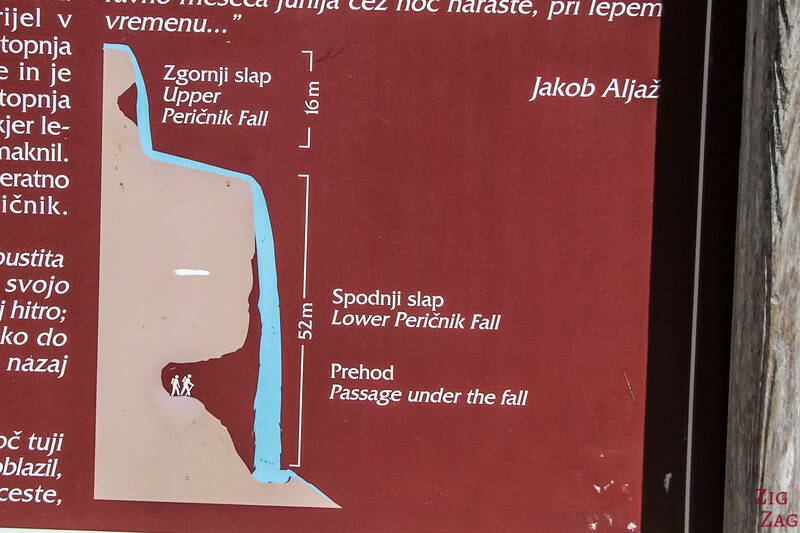 Let's learn a bit more about the Pericnik Falls. 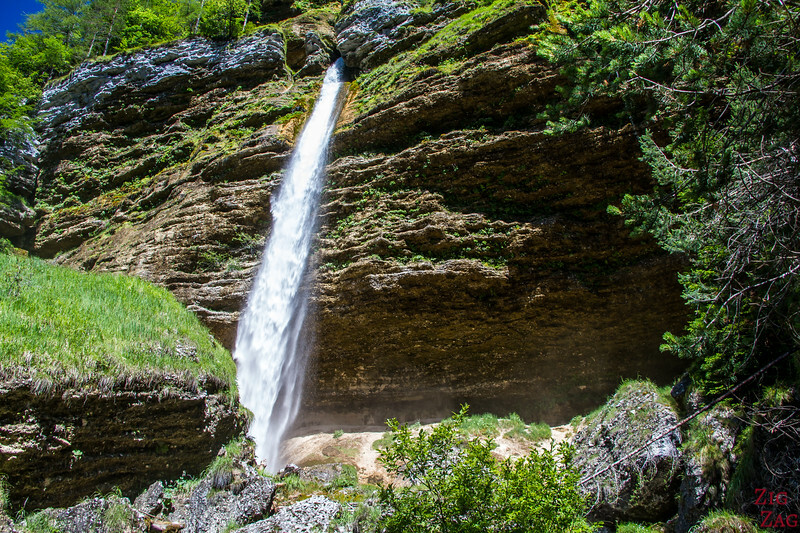 They were created as a result of glacial activity in the Valley of Vrata. When the glacier retreated, material was carried away by water in the valley, and here it created a conglomerate rock face. 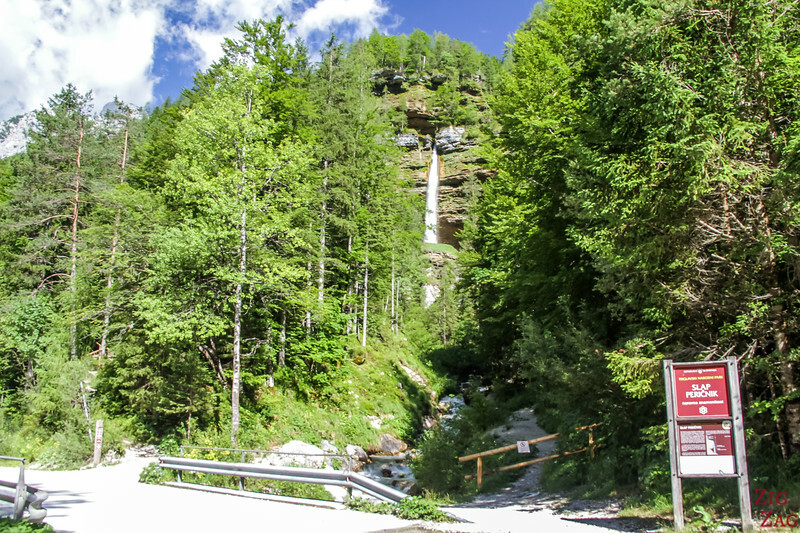 From the parking, you can see the lower falls in a clearing in the trees. 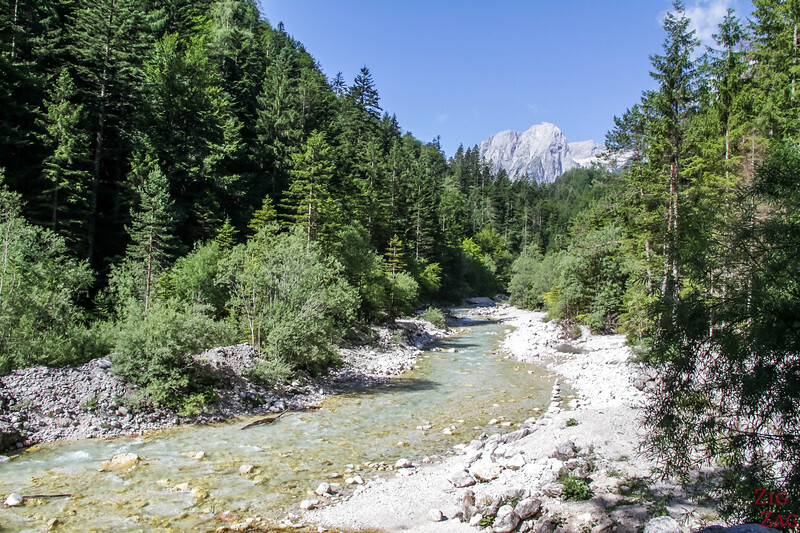 Across from the clearing don't miss the beautiful view of River Triglavska Bistrica with the summits in the background! 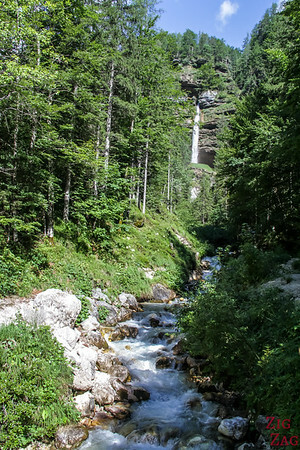 The official hiking trail to the Falls starts at the bottom of the clearing , left of the water as you can see in the photos below. 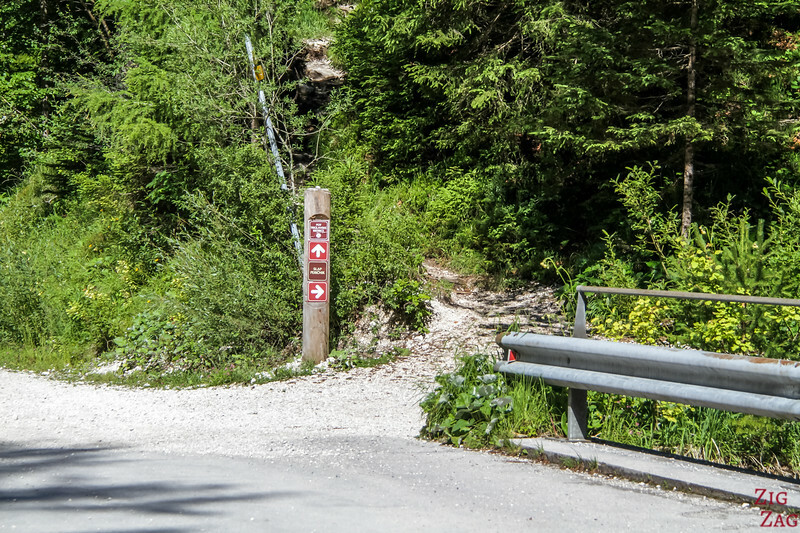 There is a turn to the left at one point that you clearly see on the way down but not on the way up. If you find it hard to walk up, you've gone too far! The walk in a bit steep but not that long. Just take your time and wear good shoes! 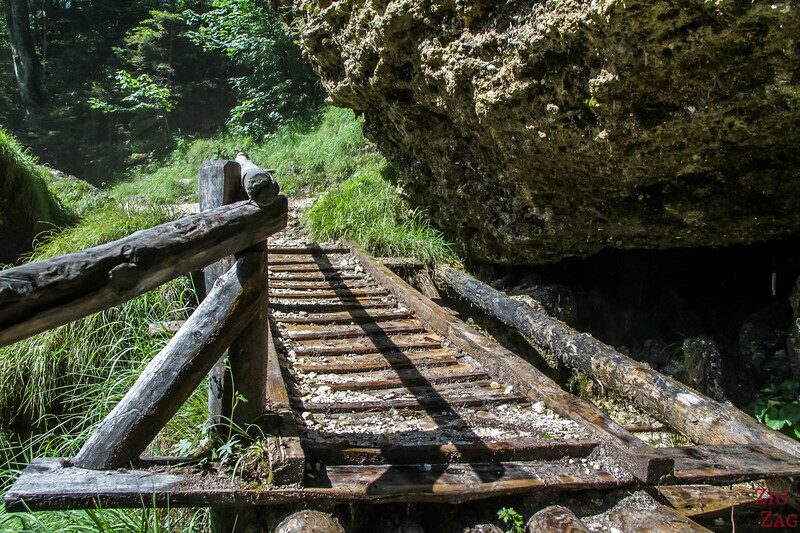 After 10 minutes of walking uphill, you find 2 bridges which allow passage between both tracks below the waterfall. This is where you can see up close the conglomerate rocks transported by water from the glacier. 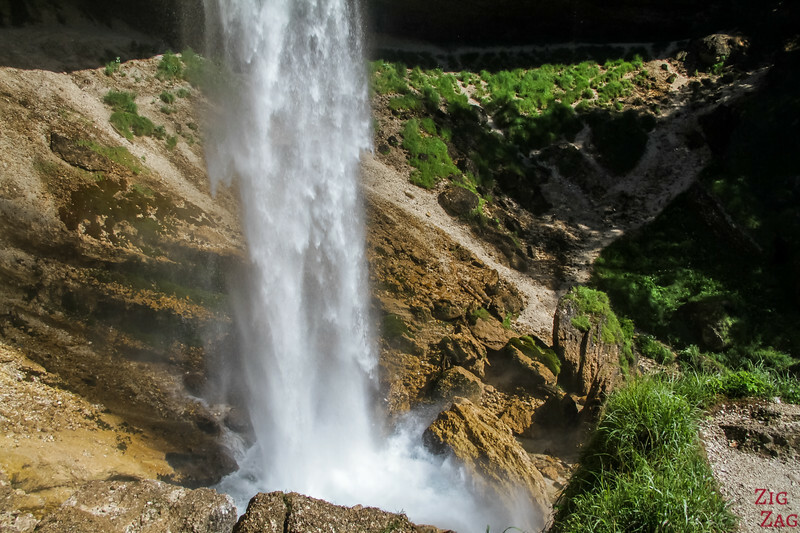 You discover the waterfall but not yet in its entirety. 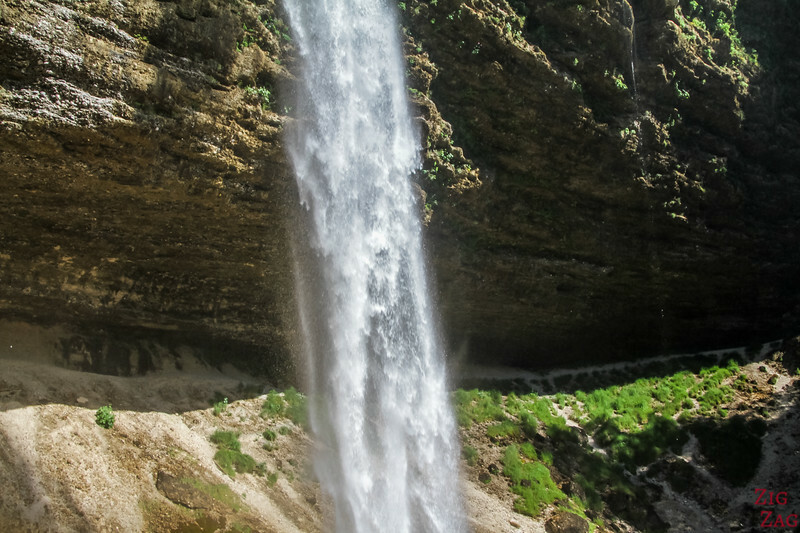 After a few more step on the left side of the waterfall, you finally get to see the 52m drop in its entirety. The splash sends a lot of mist in all directions. You can also walk down to the pool level, but be ready to take a shower! 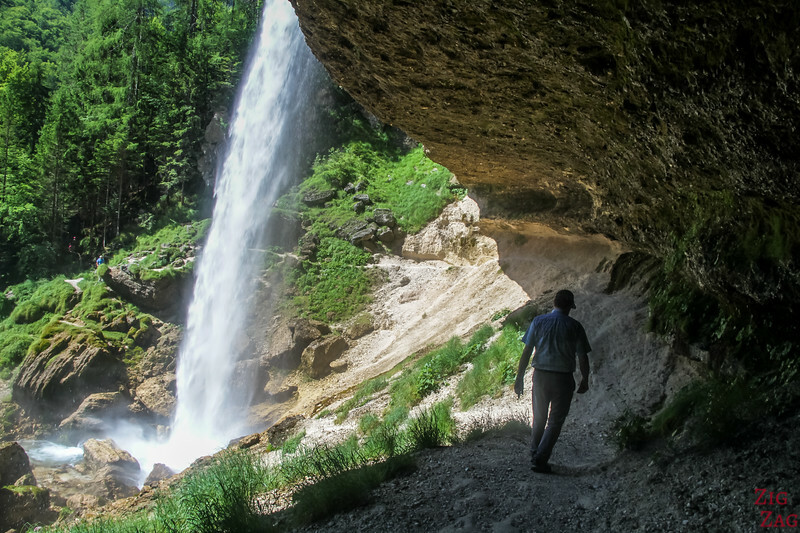 The best part of The Pericnik waterfall is that you can walk behind it. I did it in Iceland, behind Seljalandsfoss and it is as much fun! 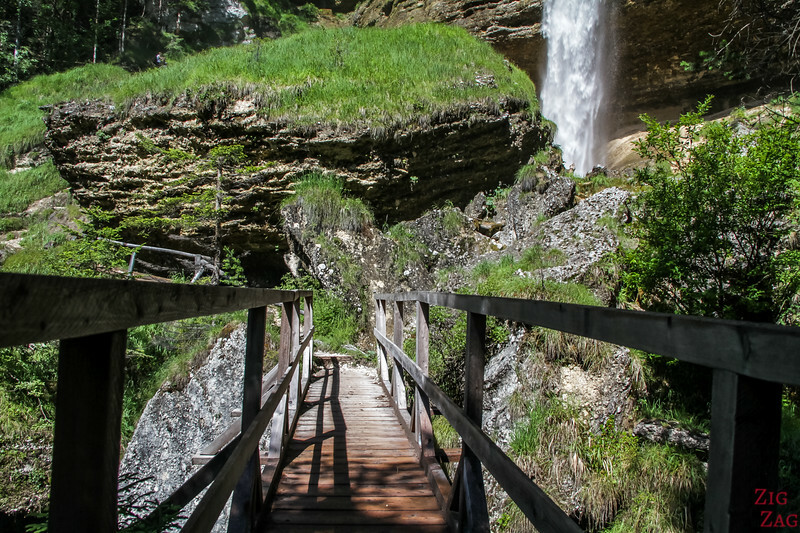 The path is a little bit scary, with the drop to the pool of the fall on one side, but it is not too narrow so I managed. Make sure you are wearing good shoes. 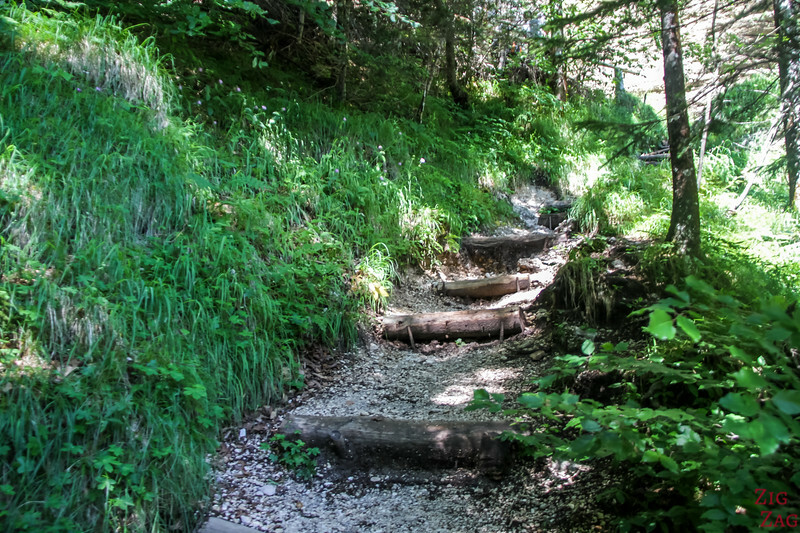 The small rocks with the water make a slippery ground. 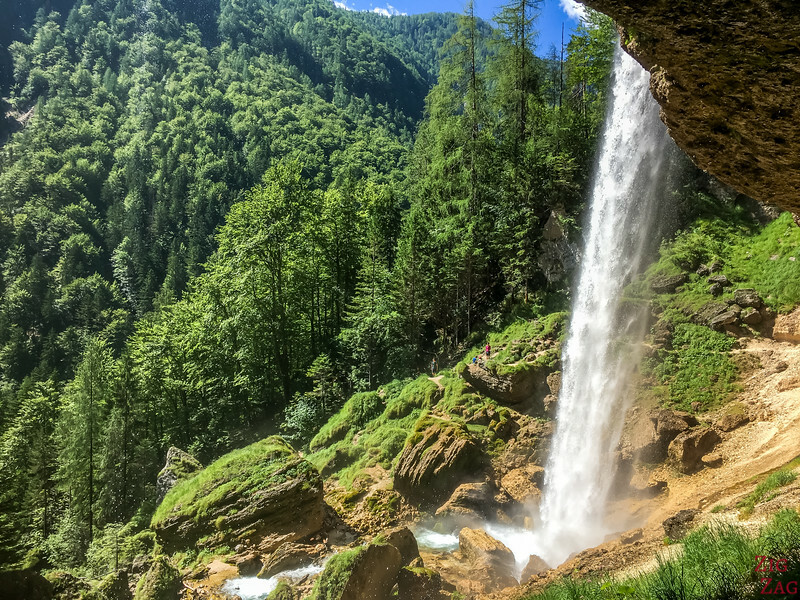 Once at the other end of the Lower Pericnik Falls, this is the view. Definitively worth the walk, don't you think? Look at the side of people across on the rock, this gives you an idea of the size of the waterfall!!! 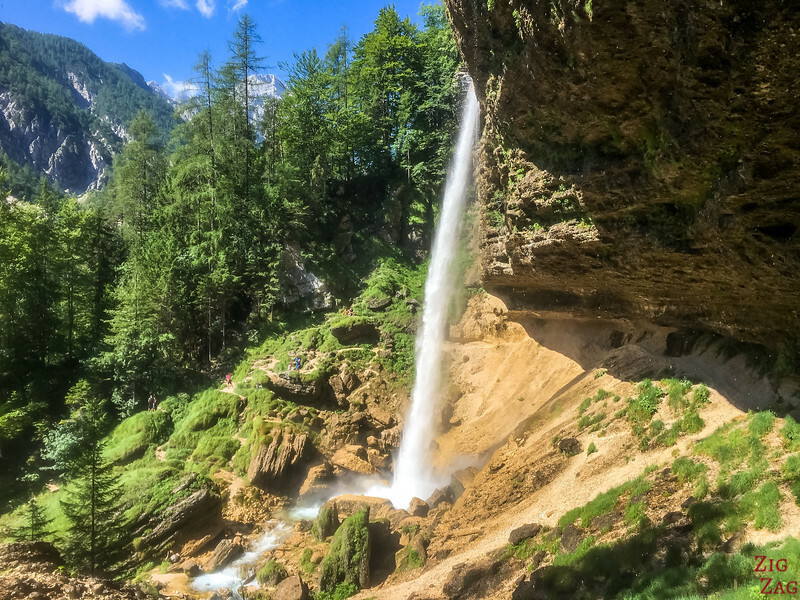 Or if you are fit and don't mind a more technical walk (you have to hold a chain), you can keep climbing to reach the upper falls. The atmosphere is quieter and more intimate, but with only a 16m drop it is far less impressive. 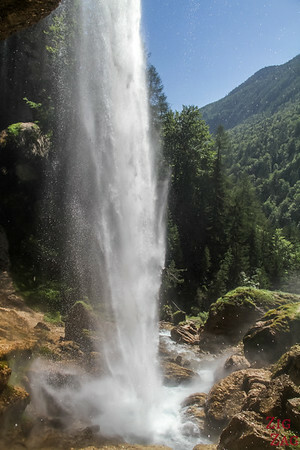 I decided not to hike up, but have a look here for a picture from another photographer. Protect your camera from the mist! 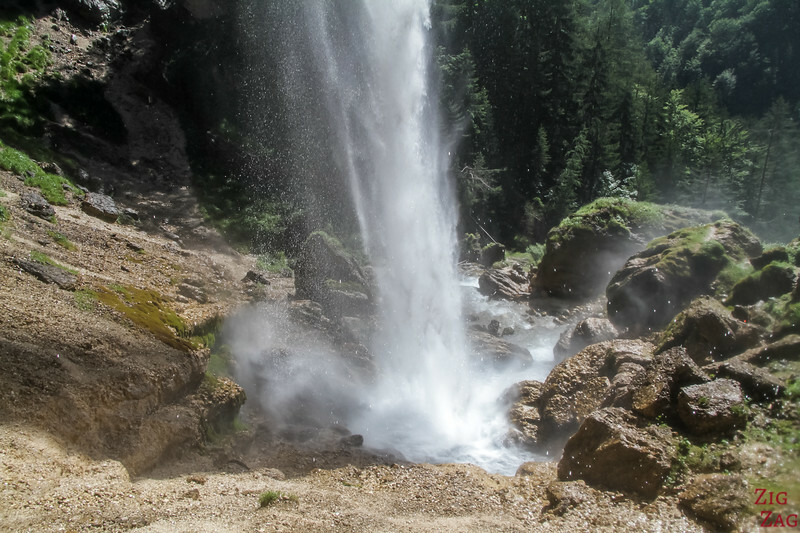 Have you ever walked behind a waterfall?